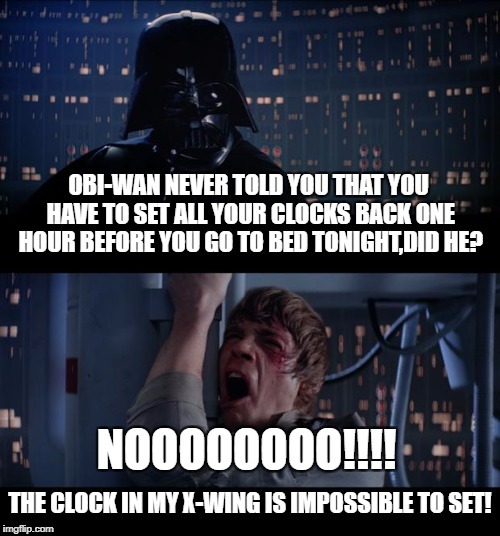 OBI-WAN NEVER TOLD YOU THAT YOU HAVE TO SET ALL YOUR CLOCKS BACK ONE HOUR BEFORE YOU GO TO BED TONIGHT,DID HE? 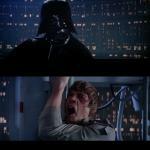 NOOOOOOOO!!!! THE CLOCK IN MY X-WING IS IMPOSSIBLE TO SET!